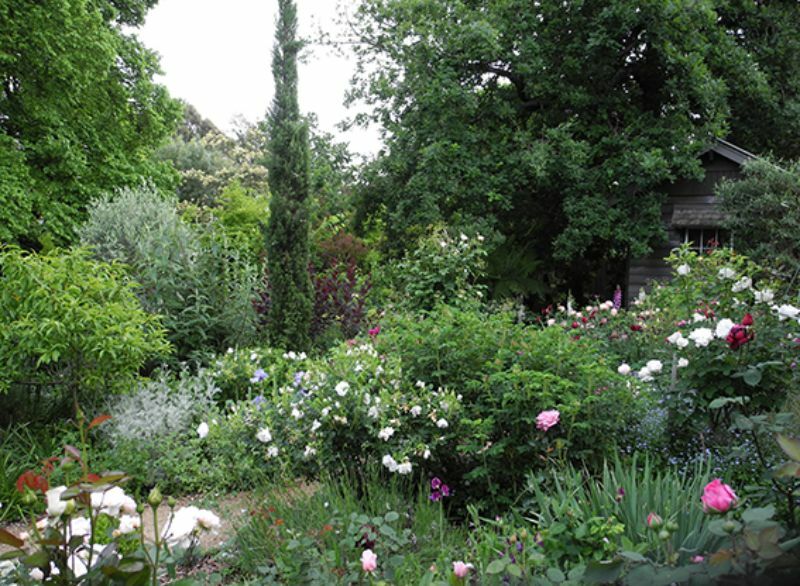 Woodcote, in Melbourne's outer east, is the private garden and residence of Sandra McMahon and architect Warwick Sheffield. 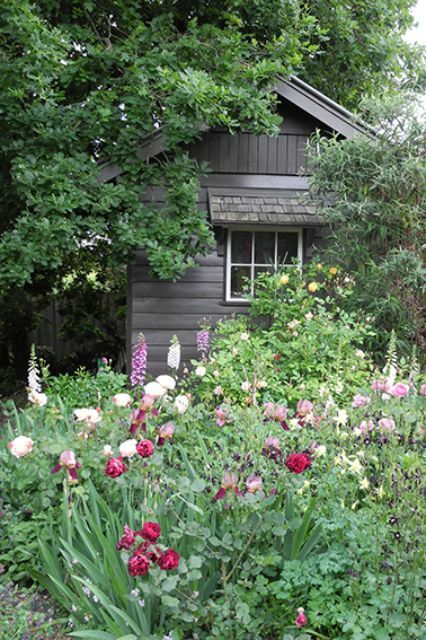 The property has been inspired by the Arts and Crafts Movement, with references also to the work of Edna Walling. 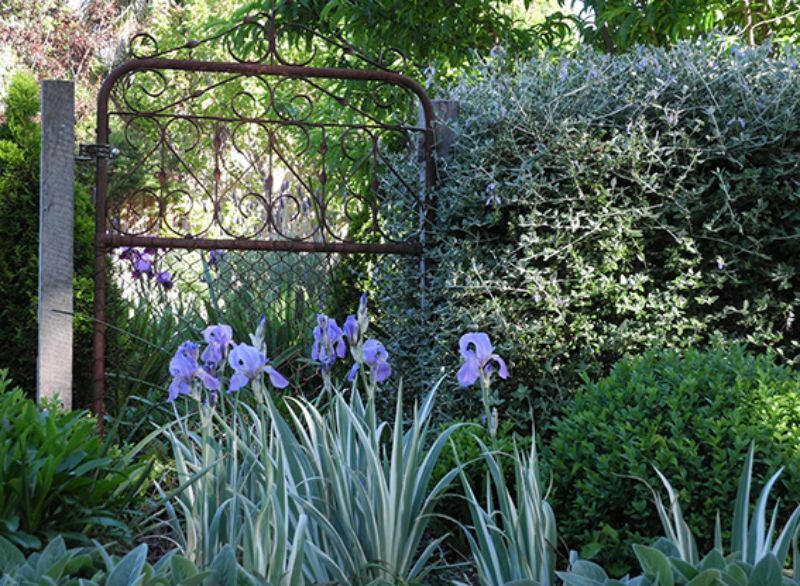 Sandra designs with an emphasis on the use of plant material for structure, and this garden showcases a very broad range of plants. 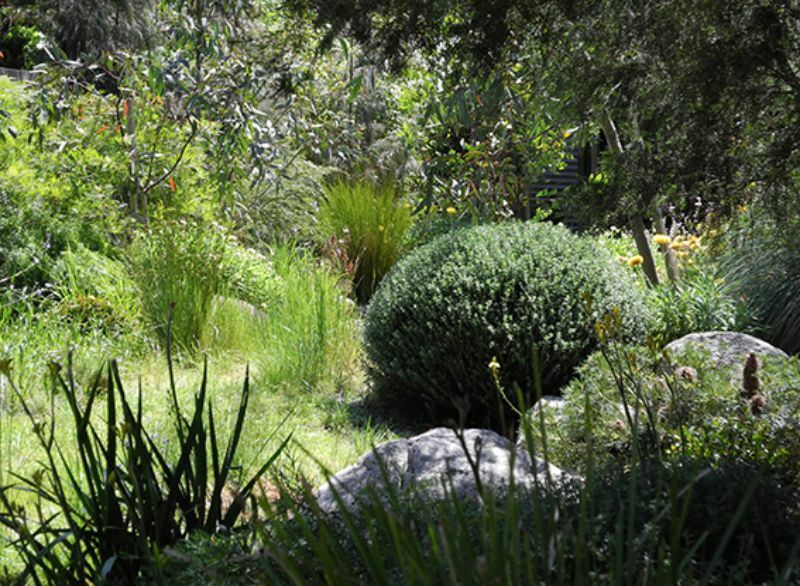 The Australian plant garden at the front is inspired by the landscapes of Victoria's High Country. 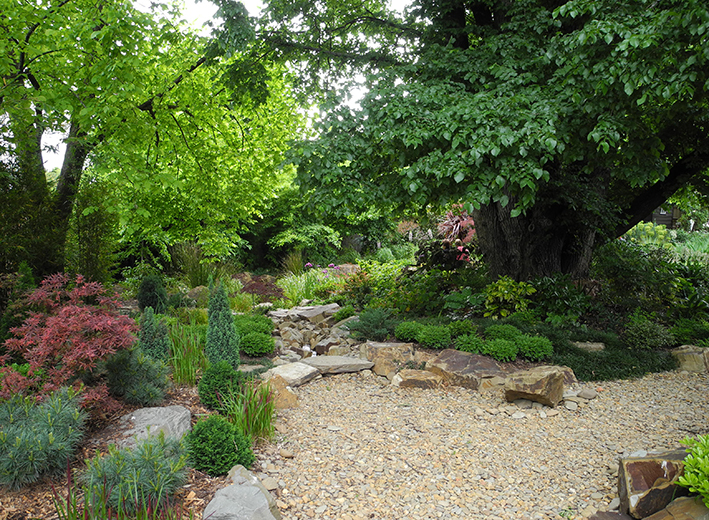 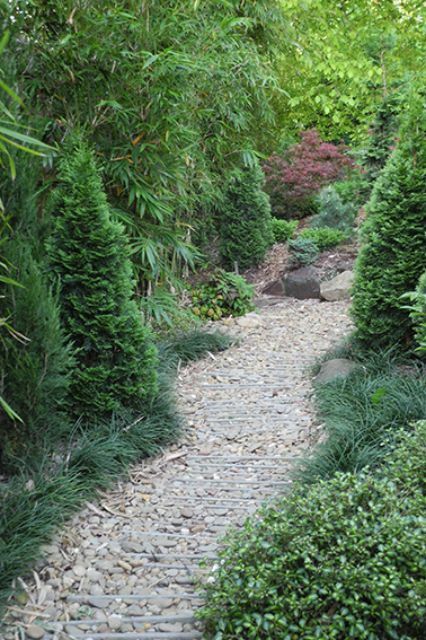 This part of the garden leads to a Japanese-inspired stroll garden, incorporating a dry pebble stream and flowing water leading through plantings of Prairie perennials and grasses to a billabong, featuring a copse of Nyssa sylvatica. 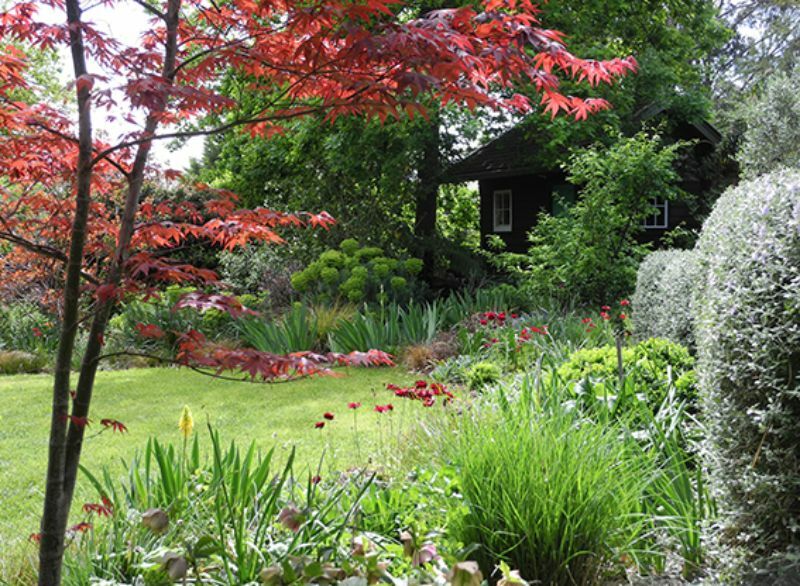 An enormous elm at the rear of the house is under planted with a range of woodland plants coping well in dry shade. 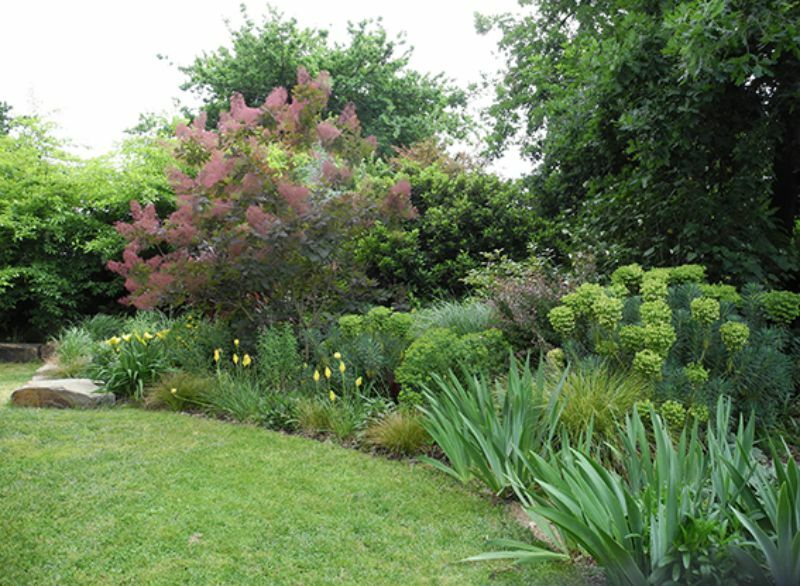 Other 'rooms' in this garden include a border of grasses and perennials, rose garden, vegetable garden and informal Mediterranean-inspired fruit tree grove. 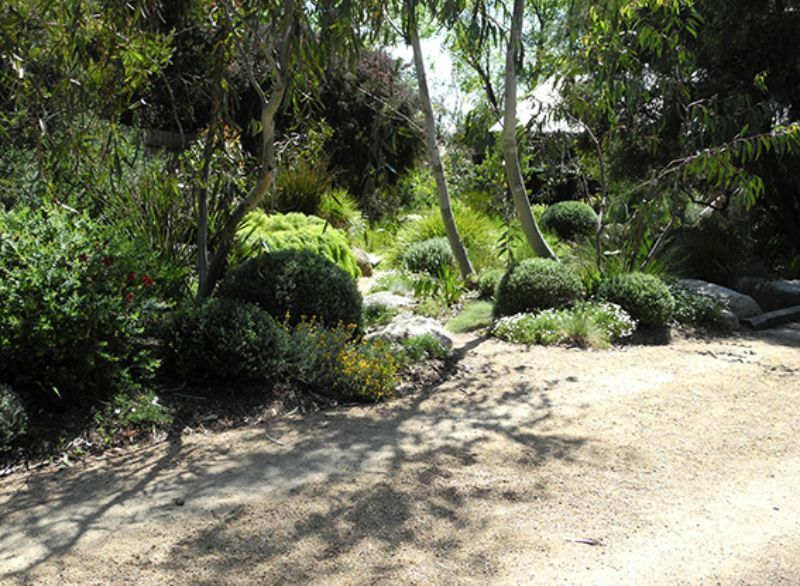 The creation of a seamless transition between these different areas has been of paramount importance in the design of this informal garden of rooms, and is a hallmark of Sandra’s approach to garden design.